If you are in Bangkok then you will known that Thai Immigration in Bangkok has moved to the new large complex near the old Bangkok airport. 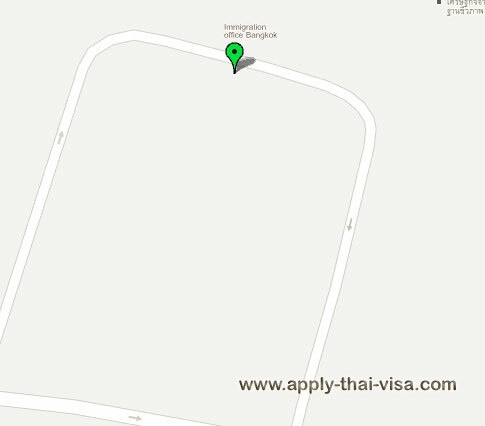 We have listed the contact details below with a map to the Thai immigration office in Bangkok. This is where you can do your 90 day reporting and also extend your tourist visa for an additional 30 days. The contact details such as the telephone number, address and a map has been listed below. Note that immigration is at the back of the complex and you need to try and go early as this immigration office is very busy and the lines are always very long. If you can get there before 10H00 then the lines are shorter and service is much faster. 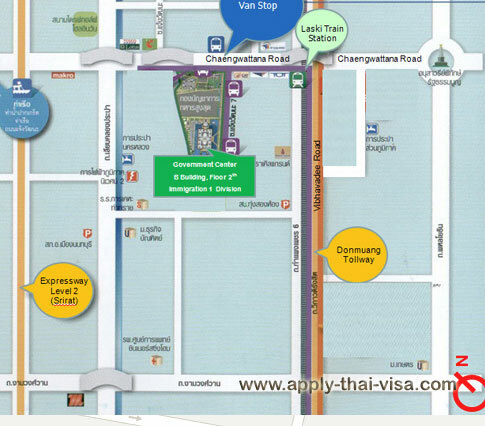 If you are going by taxi then everyone knows where TOT on Chaeng wattana Road is. My Belgian passport is valid until February 2017. I’m planning to arrive in Bangkok on 26 August. I have a return ticket on 14 September to Australia. Is my passport valid enough? If you plan to enter on visa exemption based on your Belgian passport, you may do so as long as your passport is valid for the duration of your stay in Thailand. In your case, this should not be a problem.